Christianity in Indo-Pak region is as old as the 1st century. How the challenges of the modern life have transformed and sustained the religion which has captivated millions in the country. by Shahid Khan One of the most interesting facets of the Church in Pakistan is that, where persecution rules there Church grows. Unlike, west and in the UK where Christianity is on the decline according to the recent Office of National statistic from 72% in 2001 to 59% in 2011 there is hardly any Church in Pakistan which is empty on Sunday despite of recent escalation of persecution in Pakistan. 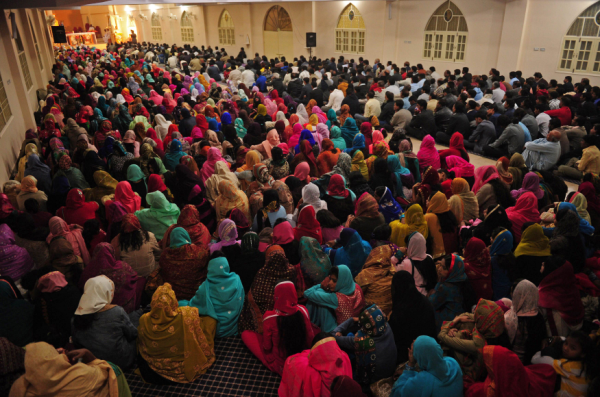 The Church in Pakistan continues to grow as new believers come to Christ through the tireless workers of the Gospel. Their unswerving faith and insatiable hunger to win souls for Christ is never on the wane just like their Patron Saint Thomas who first arrived in the region with the hope of Christianity. The Church has been present in Indo-Pakistan since the first century around 52AD. 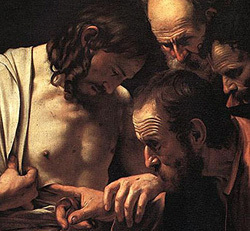 St. Thomas, one of the disciples of Jesus Christ, first brought the Gospel message in the region after the “Great Commission “of taking the Gospel to all the nations. Thomas continued preaching the Indian region, performing miracles, planting Churches and bearing the light of Gospel into the Indian region. He later received martyrdom in St. Thome Mount in Chennai, India and is buried at St. Thome Cathedral. During the Gospel Mission of St. Thomas, King Gondrophorus came to know Christ. He also preached in Gilgit and Taxila during his trips as some Pakistani Christians believe that St. Thomas came to Pakistan through river Sin, 20 Kilometre North of Taxila which goes all the way to port city of Karachi. However the missionary work of St Thomas set the basis of Christianity in the region. Later Nestorians arrived in Punjab in the eighth century and Jesuits arrived in Lahore, 1564. During the Mughal Empire Christianity flourished unhindered with few exceptions. Janghair is said to wear Golden crucifix around his neck and made generous gifts to Churches in Lahore and Agra. It is believed that there was no trace of Christianity in mid eighteen and nineteen Century in the History of Pakistan. During British Government of India, East India Company traded in the region for business purpose while they had no intention to the evangelisation of the region however; through the vote of the parliament in 1813 the British Parliament sought the approval from the company to allow Christian missionaries in the area. The subsequent years changed the whole landscape of Christianity in the region whose imprints are still seen and witnessed. During the latter part of the 19th century between 1874-1885, which is normally termed as age of Harper, three British Missionaries from the protestant Mission, Harper, Youngson and Baily (United Presbyterian Mission) hit the sub-continent with the light of Christianity. The British rule saw many missionaries, Evangelists and Christian organization who established Churches and cathedrals in the big cities of Pakistan like , St Patrick, which is the largest Church in Pakistan, Lahore Cathedral and some Churches in twin city of Pakistan, Rawalpindi- Islamabad were erected during the period. The missionaries also planted many educational institutes, schools and hospitals and played a pivotal part in the prosperity of the region. Some of them are still up and running through the test of time. The current status of religious minorities in Pakistan is not what the founding fathers of Pakistan dreamed and realized during their lifetimes. The modern day Christianity in Pakistan is suffering and undergoing heavy waves of persecution, prejudice and institutional marginalization. The draconian religious laws enforced in 1980s by military dictator Zia-ul-Haq turned the fate of religious minorities in the country, who are now subject to daily intimidation, violation and injustice almost every passing day. Scores of innocent Christians have been killed on the name of these killing laws including, Federal Minister of Minorities, late Shahbaz Bhatti – a lifelong advocate of repeal of Pakistan Blasphemy laws. The Christians who are one of the biggest minorities in the country around 2.3% of the total population of 190 million belong to Pakistan. The piece of land, where their fore fathers lived, and sacrificed their lives to secure the piece of land is the proof of their identity and life. Today Christians are being treated as stooges of west in Pakistan. Their national identity is mired and seen through the eyes of religion and their patriotism is considered as with suspicion and doubt which becomes genesis of further religiously- motivated violence and unrest in the country. Today Christianity in Pakistan is going through a lot of phase both from the social as well as from the political point of view. There is sense of fear and intimidation writ large on the faces of Christians in Pakistan no matter how big, influential, and infiltrated their roots are into the Muslims society. The monster of extremism, fundamentalism, and unending war of hatred has weakened the relationship between Christians and Muslims. However, In spite of the pressures of the various sorts, Christianity is growing in Pakistan. The official figures remain around 3% which to some resources are underestimated due to the constitutional rights and privileges which Christians will be entitled to are always kept and shown at low level. There are hundreds and thousands of non-denominational churches as well as established Churches who continue to meet and pray together for the future of Christianity in Pakistan. Along with that, there are many underground Churches where Christians meet and spread the message of Gospel among others people who are still not illuminated with the light of Gospel. It is difficult to predict about the future, however, if history is any window to peep into the future, Christianity will flourish in Pakistan since there are more persecution, there Church takes the birth and the worshipers who worship the Son in spirit and truth. Shahid Khan was born in Pakistan and holds a degree in English Literature and sociology. He writes profusely on Christian themes and social issues. He lives in the United Kingdom. This entry was posted in Articles, Spiritual Articles and tagged Christian, Christian persecution, hope, Injustice, minorities, Pakistan, Persecution, positive thinking, South asia. Bookmark the permalink.